Well figured I'd give the bad news. Trish most likely had another mini stroke the end of last week. She is home and starting end of Feb she will have a home care aid while I'm at work. Biggest problem I see is the aid and how protecting Mouse has now become of her. Hopefully I can take some time off at the beginning and that way get him used to another person beig around and touching her. Trish can no longer get up without help and needs help even with her walker. Me, her daughter and a friend are keeping her covered as far as someone here at all times, but Mouse has known all since he was 8 weeks. Here is his new mode and very few are allow near Trish. Sorry to hear Trish had another mini stroke. Do hope that Mouse will allow someone in to help with her care, I am sure he will when he realises they won't hurt her. Really sorry to read about Trish, you have always shown us how well she and Mouse have 'bonded' and I have always found that so wonderful and a true reflection on how dogs can be so loyal. How will Mouse react to some new person comming in and touching Trish ? I don't know the answer to that but it needs a lot of thought. Please don't take this as 'lecturing' but I firmly believe dogs don't see the world as we humans do. They can't possibly know that a visiting 'home carer' is there to help Trish in much the same way as they can't possibly know that when you go out the room will you be one minute one hour one day or one year. Precedent helps, for example Mouse will have learned that when you go to work in the morning you always come home in the evening, he's programmed that into his brain. These are my thoughts based on how our Baruska became very protective of my wife. Hope it's not seen as 'lecturing' just wanted to try to help. 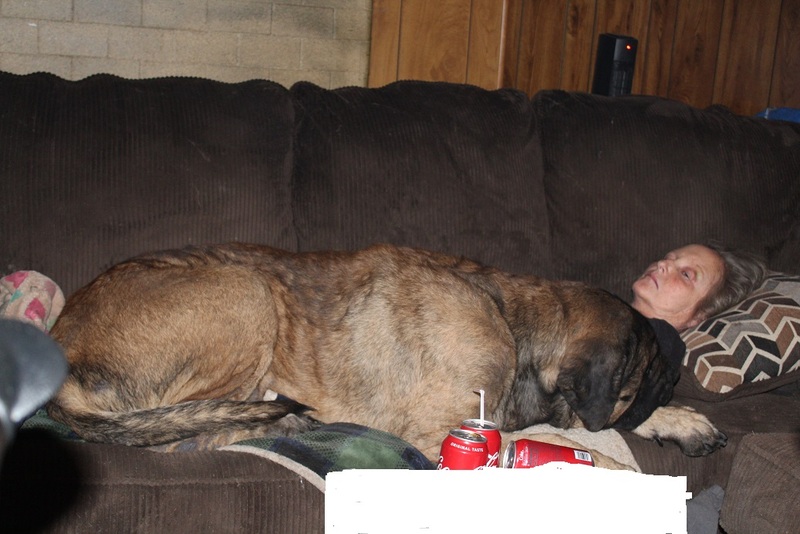 Mouse & Trish represent a true example of the loyalty and trust between man and dog.